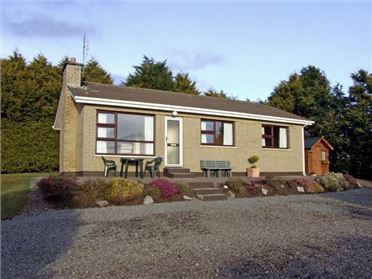 Radharc an Oilean is a cosy, detached cottage overlooking Lough Corrib near the tranquil hamlet of Maam, near Maam Cross, in County Galway and set next to a working farm. 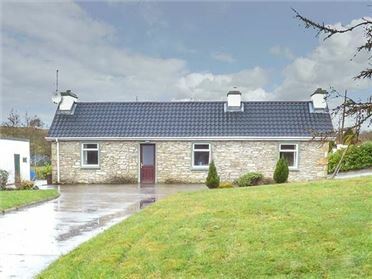 This all ground floor cottage can sleep eight people and has two double bedrooms, two twin bedrooms, a bathroom, a separate basin and WC, a kitchen with a dining area, a utility and a sitting room with an open fire. 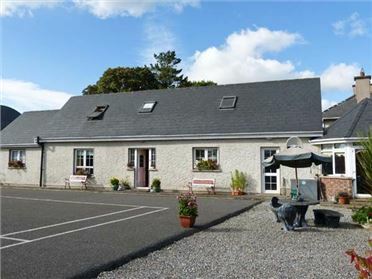 Outside there is ample off road parking and a lawned garden to the front with benches. 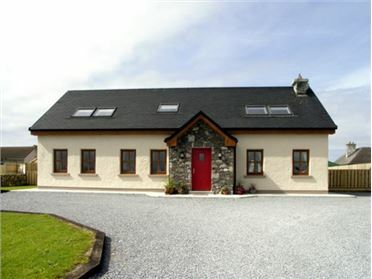 Radharc an Oilean is a wonderful base for your Irish holiday. Oil central heating with open fire. Electric oven, gas hob, microwave, fridge, freezer, washing machine, dishwasher, TV with Saorview, DVD, selection of books, games and DVDs. Cot and highchair on request. Fuel, power and starter pack for fire inc. in rent. Bed linen and towels inc. in rent. Ample off road parking. Shed for storage (12' x 6'). Front lawned garden with benches. Sorry, no pets. Shop and pub 2 miles. Note: The driveway does not have a gate and leads onto main road, children to be supervised at all times. Note: There is one step up into the property.